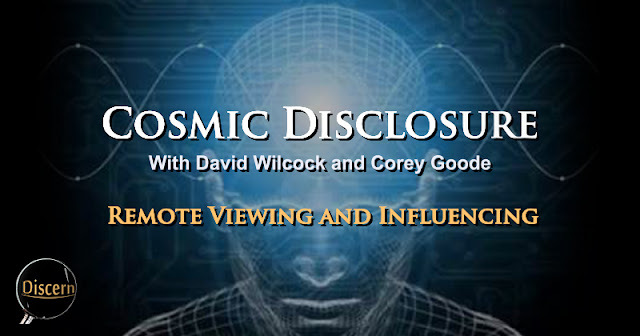 This episode of Cosmic Disclosure discussed a topic with which many of us are at least somewhat familiar. This was that of remote viewing, or the act of intuitively locating and gaining information on people, places, objects, and situations to which the viewer does not have physical access. The discussion was quite revealing with regard to our ability as human beings, and exemplifies that that which is seen as “supernatural” might be much more natural than we previously thought. I will admit that a couple of the topics discussed were a little disturbing to hear at first, but overall, it was all very interesting and in a huge way, showed that each of us may have profound abilities we have yet to discovered. Lets change that. In order to answer this question, there is one particular name to mention. This is the name 'Joseph McMoneagle'. Joe McMoneagle is a retired U.S. Army Non-Commissioned Officer (or NCO) who was eventually hired for an experimental project in specialized counterintelligence. As he recounts, his childhood was filled with interesting, and yet unexplained psychic experiences. His family history in the Marine Corp lead him to pursue his own career in the U.S Army (to some of his family's disappointment), and while in service, Joe was found to have extra abilities that ended up saving his life on numerous occasions. McMoneagle's abilities would later be noticed by his superiors, and he would eventually be hired to take part in the Psychic Spy program. (Since this was first an experimental program, Joe was the only participant, giving him the designation "001".) Within this program, Joe would have his psychic abilities tested under strict, scientific protocols (termed the SRI protocols). After numerous instances of success within these experiments, he would be assigned to various missions in which intelligence was not able to be gathered by other, more conventional means. Joe would use his psychic sense to give a variety of details about places he had never physically seen, people he had never met, and situations which were otherwise, completely unfamiliar to him. It was through these experiments, and missions which convinced Joe and many of his fellow officers that remote viewing was a very real concept. However, we have still yet to answer our question specifically. Remote viewing could be explained as the use of a common psychic ability which we all possess, according to McMoneagle (as well as Corey Goode). It does not take much training to achieve success. All it takes is a number of mental exercises, after which one can have numerous successes in viewing remote targets. Though one point which McMoneagle stresses is that a method cannot be considered “remote viewing” unless the SRI protocols are strictly adhered to. We could discuss the method of remote viewing for hours. However, this could not compare to hearing from Psychic Spy 001, himself. So with that, here is a lecture from Joseph McMoneagle. In my personal experiences, I have had much practice in techniques included in the remote viewing method (though I did not follow the specific protocols). The technique can be very effective once the necessary mental and energetic states are achieved. To gain information on a target, one must be in a relaxed state (free from distraction), and learn to use what may be referred to as the psychic senses. These senses include every sense we have in our physical experience, but instead of using the physical body, we use our etheric body instead. 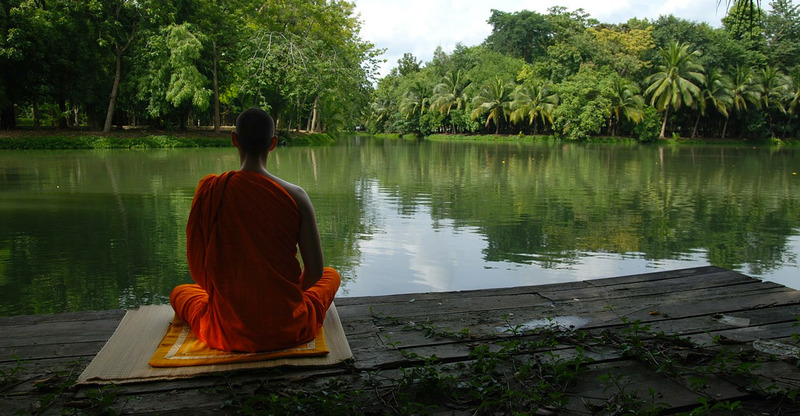 I was taught to use meditation to achieve a relaxed state so that my physical senses could be set aside, and the psychic senses could be focused upon. Being in a quiet room with multiple people doing the same exercises, we were able to accomplish some amazing things, though the methodology we used was not exact to the remote viewing protocols. It is no secret that this subject of remote viewing is surrounded by both curiosity as well as skepticism (some of which includes the religious, uncompromising, and unreasonable type). In order to explain this concept as scientifically valid, it's important to remember a few principles. One specific article from The Physics of the Universe website explains how principles in quantum mechanics can explain how seemingly separate aspects of our reality are actually connected. Nonlocality describes the apparent ability of objects to instantaneously know about each other’s state, even when separated by large distances (potentially even billions of light years), almost as if the universe at large instantaneously arranges its particles in anticipation of future events. Thus, in the quantum world, despite what Einstein had established about the speed of light being the maximum speed for anything in the universe, instantaneous action or transfer of information does appear to be possible. This is in direct contravention of the "principle of locality" (or what Einstein called the "principle of local action"), the idea that distant objects cannot have direct influence on one another, and that an object is directly influenced only by its immediate surroundings, an idea on which almost all of physics is predicated. Nonlocality suggests that universe is in fact profoundly different from our habitual understanding of it, and that the "separate" parts of the universe are actually potentially connected in an intimate and immediate way. In fact, Einstein was so upset by the conclusions on nonlocality at one point that he declared that the whole of quantum theory must be wrong, and he never accepted the idea of nonlocality up till his dying day. Nonlocality occurs due to the phenomenon of entanglement, whereby particles that interact with each other become permanently correlated, or dependent on each other’s states and properties, to the extent that they effectively lose their individuality and in many ways behave as a single entity. 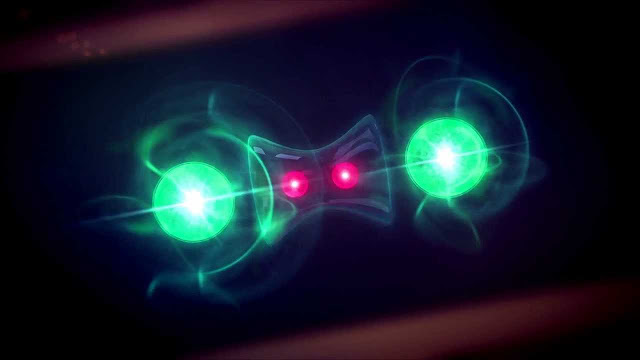 The two concepts of nonlocality and entanglement go very much hand in hand, and, peculiar though they may be, they are facts of quantum systems which have been repeatedly demonstrated in laboratory experiments. We can see that mere interaction on the quantum level leads to a permanent correlation between particles. From this principle, one could suggest that due to the apparently fractal nature of the universe, this quantum-level phenomenon may be found in the macro world as well. For this reason, I find it very likely that when Corey Goode makes the statement that a human being can be connected with another person, a place, an object or situation, the claim is based in provable fact. As Corey Goode describes, the human race has always had the ability to remotely view the surrounding world, though the ability is denied and dismissed in most Western cultures. However, there is the distinction of these numerous protocols which are strictly adhered to in modern remote viewing which make it unique. What's with All of the Protocols? Corey Goode describes how these specific protocols were implemented within the SRI program for the sake of avoiding contamination of the information. During this process, each remote viewer was to have little or no distraction from their focus on attaining and reporting on the target in question. The viewers (typically three at a time for the sake of triangulating the target) would be handed a sealed envelope with the information on the target inside of it. (It was sealed so that the carrier could not see it and contaminate the stream of intel that would follow.) The viewer would then report back any extra-sensory experiences they had while viewing the target. As this information was recorded, a picture of the situation would become more and more defined by the team. One may be curious as to why such strict protocols would be necessary. Simply put, the protocols are implemented for the sake of verification and reliability. During the process of remote viewing every detail reported by the viewer must be verified and validated. Otherwise, it cannot be considered reliable. Lets think for a moment about how many channels (or 'channelers') there are in modern times. As Goode mentions, when channeling, there is no way to verify absolutely everything that comes through. There may be a provable fact that comes through once in a while. However, it seems that channels rarely bother to verify such "facts". It can be typical that a channel will present unverified information as absolute and unquestionable without ever bothering to verify anything they present. Those listening to the channeling may even begin to verify for themselves, but after a short while, they completely stop verifying and begin to blindly trust whatever the channel says. (I have even spoken with channels who take their unproven information and attempt to use it as grounds for distrusting verifiable sources simply because those sources disagreed with their channeling. By my understanding of reliability, this is completely irresponsible.) This unverified absolutism is typically how religious cults are born. There have been different times when Corey Goode has emphasized the fact that nothing he said was intended to start any type of religion or cult. I can appreciate this, as the temptation to worship anything that is perceivably different, or seemingly more powerful than ourselves can have a strong pull on some people. Up until a certain level of maturity, we have a tendency to listen to a message, and if that message is worded just the right way, and makes us feel good inside, we subconsciously give all of our power away to it. We give up our ability to think critically. We give up our power of decision. We throw all of our opinions out the window for the sake of an unproven story if that story seems somewhat coherent. As long as the story or message is able to make us feel safe, no price is too great, even when it means selling ourselves to gain the supposed safety. We fear ignorance, so we pretend to have knowledge. We fear death, so we hide from, or attack anything that makes us feel threatened. When it comes down to it, people will allow themselves to be distracted by almost anything in exchange for a sense of belonging and stability, and it is this very tendency that lead to an entire planet to being lulled to sleep in the first place. Cults are not a good thing (whether physical or online, as both are very much a problem). They deny free will exactly the same way the cabal does. They deny independent thought while causing members to believe they are thinking for themselves, and they hijack the natural awakening process of humanity—actually turning this awakening process against the individual. Many have already joined them and don't even realize the fact. With all of this in mind, one would have to ask... How do I know I'm not already in one? Lets take a look at a few signs which can answer that question. Attack Independent Thought - Critical thinking is discouraged as prideful and sinful; blind acceptance is encouraged. All of these, as well as numerous other characteristics, are common among cult followings. It should be known that although there are clear groups which have formed around cult mentality in modern times (as well as throughout history) that any idea can be twisted to form a cult following. There is a simple process that takes place which creates this mentality in a individual. To form a cult following, all one needs is a manipulable level of ignorance, combined with an eagerness to learn new things. Add in naivete, and you get a cult member in the making. If the person is actually afraid of their own ignorance, and is searching for information without caring what they find, a cult will usually find them. All it takes is two people who agree, and who have grabbed the easiest information available to them, after unknowingly abandoning the search for accurate information, and they have formed a cult. Things typically descend from this point. This process is very deceptive and actually mimics the wakening process quite thoroughly. However, those without discernment will not be able to tell the difference, and will inevitably be consumed without even realizing it. They believe themselves to be going down a deep rabbit hole when in reality, they've been eaten. One may wonder why I am so adamant about revealing these concepts. The reason is that I used to be a cult member (for 20+ years), and a good part of my awakening process was the act of deprogramming myself. Hopefully my description will help others avoid my experiences. One might be surprised to hear how successful the practice of remote viewing has been for people such as Joe McMoneagle. In fact, after retiring from the Army, McMoneagle actually worked for law enforcement and other agencies using his talent to help those around him. One more well-known example of Joe's work was filmed on live Japanese television. During this investigation, Joe was tasked with finding the lost relatives of 20 different families. He would be filmed going through his process, and as the show concluded, he would successfully reunite 14 out of the 20 families on live TV. This was one of the more public and authentic demonstrations of the practice of remote viewing. Beside these positive benefits, Corey Goode revealed that the intentions behind the practice weren't always so positive. Goode accounts for different practices within the SSP where people trained in these methods would actually psychically attack different targets depending upon the assignment. Some of these people would even be able to influence a situation depending upon the circumstances, either attempting to cause a heart attack or an aneurysm if it was seen as necessary. The SSP actually employed the use of devices which could amplify the abilities of remote influence to give the practitioner enhanced ability while they were using the device, according to Goode. Also, after these people used these devices for a time, they would stop needing the device, and become enhanced even without any device being present. These aspects of remote influence may be fairly dark. However there are aspects of this method that have been extremely positive. The technique of remote viewing can be used as a successful method of gaining understanding of the layout of a situation before a person or group arrives there. According to Goode's account, this was a common use (though what the SSP did at those locations may not have been the most positive). One particular topic of conversation on remote viewing which many of us may find particularly uplifting was that of the ability to perceive possible future events. As many of us may know, the future is not a concrete thing. Our respective futures depend upon decisions we may not have yet made on a conscious level, and cannot be predicted with much exactness. However, probable futures can be viewed. Corey Goode describes a time when he was assigned to remotely view the Nemesis star as well as the future of the Earth around the time of the Event which many of us expect to take place. He describes an experience of going out of body, to a great distance outside of the solar system. He describes looking back at our system and seeing a something like a crescent formation on the leading edge of the system, and the rest of the solar system looked like a comet. As Corey viewed the time on Earth of this event, he saw beings appearing in the skies. Each time these beings pointed toward the ground, something significant would take place. At one point, he saw all of the people of the Earth, and as his attention was drawn to our sun, he saw the sun start to flash repeatedly. As the sun was flashing, he then saw all of the negative people on the Earth cringing in pain, falling backward and fading out of existence. After this point, all of the people of the Earth began holding hands and singing. During these episodes, the conversation can sometimes cover multiple, interesting topics. However, some of these topics don't last very long, as Wilcock's method of questioning and testing Corey Goode's knowledge sometimes requires complex, conversational maneuvers. Consequently, I decided to include a few of these miscellaneous subjects in this short section. At one point, the recruitment process for this remote viewer programs was discussed. Wilcock and Goode talked about how people they had known, and even Corey himself, had been repeatedly approached by strange people with an apparent agenda. They would start asking a series of leading questions which would eventually lead to an official recruitment. There was later discussion of an official interview which may typically follow the initial recruitment. The one administering this interview was one specific, older gentleman who those within the program called “the Professor”. This man was well known, and would interview every initiate alone in a room with a series of dry statements. However, the statements were simply a ruse. The interview was actually a test. While this professor was asking these questions he was actually mounting a severe psychic attack on the initiate. If the initiate didn't lash out and demand that the attack stop, they would fail the test. Another topic which was discussed was one technique which Goode was taught to defend himself from being remotely viewed. This was a visualization exercise. (As some may already be aware, energy follows thought, and our imagination is actually meant to be a tool of creation for our physical experience). This visualization consisted of picturing two counter-rotating spheres surrounding one's entire body. 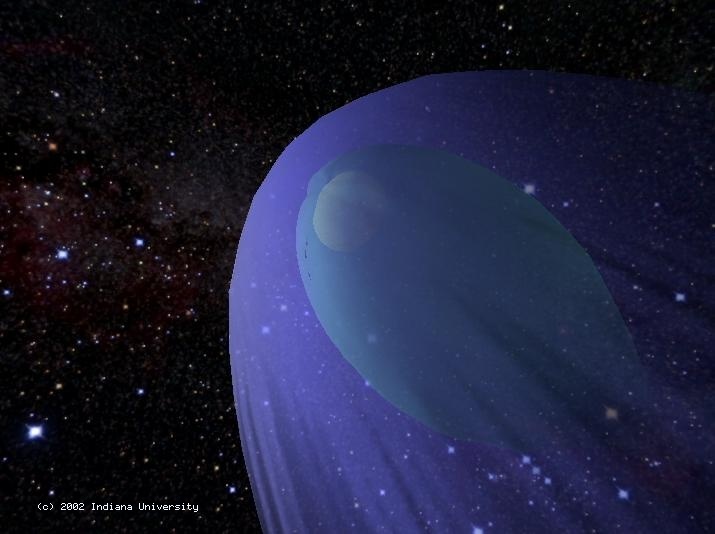 These sphere would be visualized as rotating faster and faster, and as this visualization is happening, it will prevent any viewer from locking onto you. If I remember correctly, this visualization would also create an energetic shock which would be sent back to the viewer, giving them a splitting headache (or what was termed a “psychic headache” by professionals in the program). On the subject of remote influencing, there would be a number of reason why an individual might be targeted for this tactic. As I understand it, this is typically done to people of interest who might have some influence in the way the system operates. In this discussion, the example of a politician was given. If this politician were writing a bill that was seen as disadvantageous to the off-planet program, they would begin to influence that politician according to his personality profile, his personal weaknesses, and vulnerabilities. The remote influence'r would entice him to do things that he might not normally do. The goal may be to cause a scandal of some kind, and ultimately distract him from the bill he had originally intended to draft. This concept of remote viewing and remote influencing makes evident the fact that there is much more to humanity than we have been told. It tells us that we are not simply limited to five senses, or to one location in the cosmos. This concept may tell us that our experience is more boundless that we ever thought possible, even in our present state. Presently, we can only imagine what an experience of ascension would be like, but consider this. Think about the SSP guards who used enhancement devices to magnify the power of their psychic ability. Consider the fact that the device was only needed temporarily, and that after a time, their ability became permanently enhanced. This tells me that in some way, their limitations only existed within their minds. These machines may have simply given them a sort of self permission to use the ability they already possessed. What if the same were true with each of us? What if each of us held within ourselves, the profound ability to transcend any limitation we once believed in? What if the reality of transcending illness, pain, hunger, poverty, suffering, and inequality rested only within a mental switch within our psyche? What if we flipped that switch? What kind of world could we have if we only believed it were immediately possible? Are you ready to find out? I hope you are, because it's on its way. It's coming with a quickness. Ask yourself this question... "Have I given it permission?" Would you allow yourself to be free of the issues you currently face? Would you allow them all to be replaced with happiness, contentment, abundance and fulfillment? 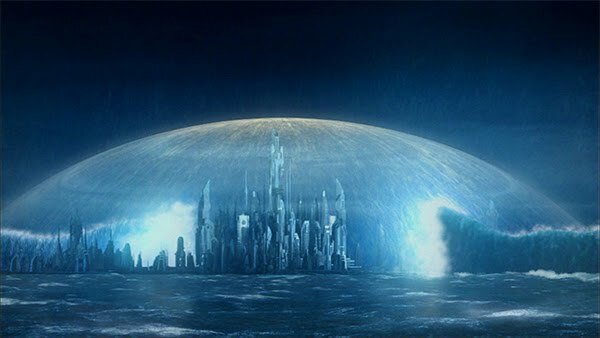 Would you allow a new world to be born beneath your feet, a new sky above your head? Would you allow your new (and old) space-family to come down (and up) and to say hello? Would you allow the new You to be birthed into existence? I hope so. I just want to say how much I sincerely appreciate what you are doing, you said some things that I needed to hear at just the right moment. Synchronicity at its finest!